You are interested to invest in a solar plant? With Solar Partner you are investing into the power of the sun. Solar Partner is specialized on commercial solar plants.Solar Partner offers you selected solar systems with focus on Germany, the U.K., Italy, and Spain, especially solar roof installations from 100 kWp onwards as well as ground installations from 1MWp upwards. These installations stand for a future oriented, ecological valued investment. Institutional investors, insurance companies, infrastructure funds and banks invest in these property values because of the high returns and a long term secured income. Due to the varied legal regulations in different countries concerning remuneration for solar power, investors should choose the locations with care. Different tariff groups apply for roof and field systems. The sun radiation values for the respective regions are of the greatest importance for the plant’s current yield. To better assess the potential yield, sun maps for all world wide regions are available. These values must be taken into account before a final decision is made. The annual production is calculated on behalf of the global irradiation emissions, the specific construction of the solar installations, and the technical components used in the system. The specific energy efficiency hours of the plant are multiplied by the feed in tariff per kilowatt-hour. Besides the calculated annual return, there are other monetary, political and subjective aspects that, under some circumstances, outweigh the calculative reasons for selection, and therefore play an important role in the choice of a location. Solar plants are connected to the grid after their completion, and usually run for 20-25 years or more. During this time, through the power purchase agreements with energy suppliers, they provide a fixed predictable income. 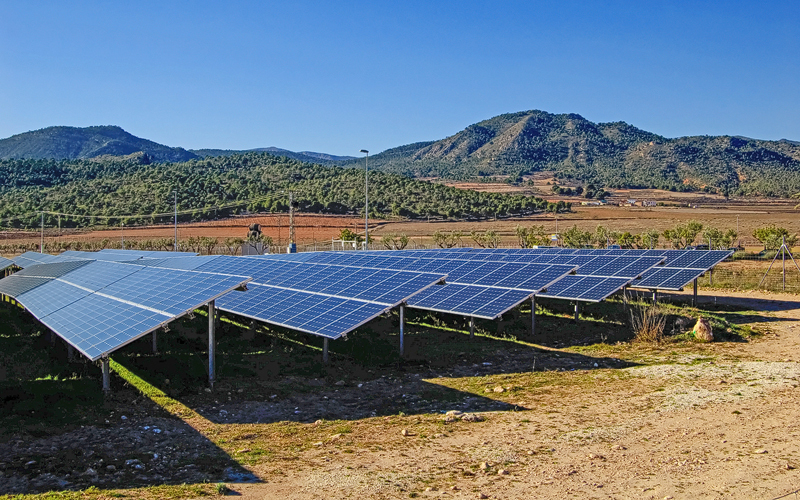 Completed solar parks, are therefore typically orientated to long-term investors, such as insurance companies, banks, investment companies and trust funds. The financing is usually operated with a capital share of 15% to 30% equity, and the remaining debt is represented by long-term loans or leases. The safety-oriented investor tends to invest in completed operating installations, already connected to grid. This avoids the risks of the permits and licenses due diligences and the construction process. Investors in such installations also benefit from the readjustments of possible defects and the optimizations that are performed in the beginning months of operating.